New investors are often known to get in over their heads simply because, in their excitement to get started, they jump into the deep end of the pool without first learning to swim. It may be a strange metaphor, but it really is as close as you can get to what happens when new investors place a great deal of money into a financial product they don’t really understand. So it is with forex and binary options. 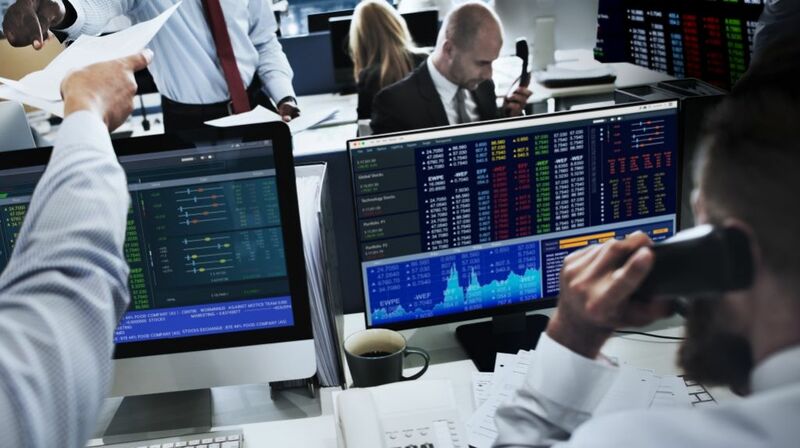 These can be quite a bit trickier to break into than stocks, and although they are markets that move fast enough for a new investor to see some results quickly, they are also the most volatile and should be understood before going live with a trade. New traders are encouraged to attend one or more trading expos prior to investing huge sums or to take the time to research trading academies like you’ll find on the Stern Options website. It’s one way to learn the ropes but coupled with the resources you’ll acquire at the expo you attend, you’ll finally be ready to take the leap. If You Miss One – There Is Always Another! This year has already seen a number of Forex expos such as iFXExpo Asia which took place from February 21 – 23 in Hong Kong. If you missed any which have already taken place, don’t worry because there are several more yet to take place. No, it may not be the location you would have chosen first, but you can always learn a great deal at any expo simply by rubbing elbows with other traders, some of whom have been trading for years and have made a success of it. One of the key reasons traders attend these expos is to network, but also to keep abreast of all the latest industry news and events. While it may be difficult to book flights overseas to attend an expo in Hong Kong, the Philippines or even to Europe, Las Vegas is within easy reach of anyone in the US and it promises to be an exciting event this year. With all that has happened and is happening around the globe, there is enough movement in the geopolitical realm to keep even the most seasoned of traders on their toes. If you are looking to get some tips on how to read world events timely enough when trading, this would be the place to get all the advice you can ever use, and then some. Since options markets, Forex being one, are so susceptible to geopolitical happenings, it pays to learn how to read them as a basis for your strategies. TradersEXPO Las Vegas is to take place November 2 – 4 at Bally’s/Paris Las Vegas and online registration is now open. Many new traders don’t understand the difference between futures and options and this is why it just might be a good idea to attend both events. In May, from the 15th through the 17th, you can learn about futures to determine which strategy would best suit your trading style. However, it should be noted that with futures you, as the buyer, have an obligation to buy if you come out on the wrong end of the deal but there is no obligation when trading in options. This is one very good reason to attend the May event in Las Vegas. Another reason you just may want to make it to both trading events is because of the very real opportunity you’ll have to network with traders who dabble in both futures and options. Keep in mind that most traders will use a variety of strategies within a well-rounded portfolio. It is always advisable to diversify your portfolio so that you have ample protection. If you lose in one market you still have the chance to win in the next. So it is with futures and binary options. If you learn both styles of trading, you have a chance to win not only in one market but in both at the same time. If you are planning on attending either one or both events, it is suggested that you book your lodging as soon as possible. Both events are close to holidays and so it is possible that hotels will be filling up quickly. November is the beginning of tourist season when northerners start making their way south to avoid another long, cold winter. If history has anything to say about it, November in Vegas is going to be extremely busy. Those who can’t vacation nearer Thanksgiving and Christmas take this opportunity to get away, just when you thought it would be easy finding a room for the expo. Finally, the reason you want to attend as many conferences and events as humanly possible is to get in all the advice you can. Practice whenever possible on your broker’s website and make absolutely certain you understand all the jargon. There’s much to learn before making that first trade and just one wrong move could be the difference between profit and loss. Meet other traders, find out what’s new in the industry, keep tabs on what’s happening in global markets and then learn how to use what you’ve heard. In the end, you’ll have more fun than you can imagine and that will spur you on to attend expo after expo.